Dragon and his children attend a funeral service for Jennifer Dragon, making her passing official. The letter that Angel had written is read out to the incarcerated Mutation. She refuses to believe that the contents are accurate and still blames Dragon for his wife’s death. 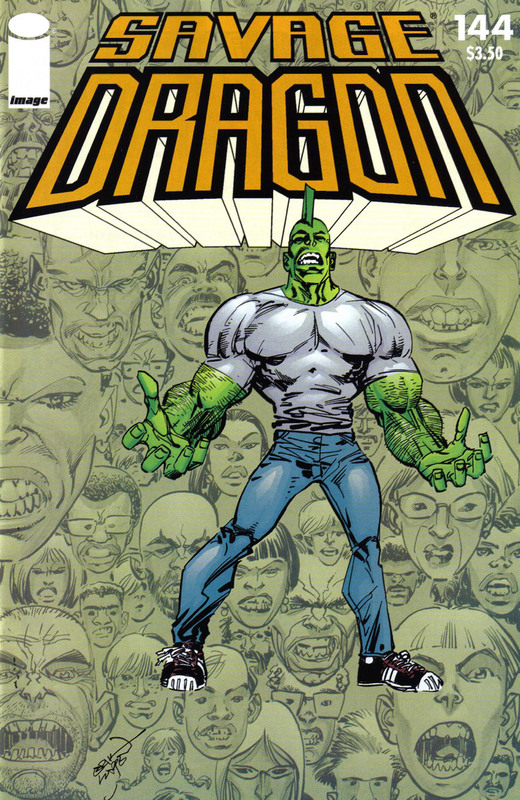 Dragon suggests to Frank Darling that they use Freak Out to remove Mutation’s powers to learn her true identity but this is ruled out as a violation of her rights. Rock reveals that several of his old Underground Freaks friends have taken Freak Out to be transformed back to ordinary humans. He notes that he likes being a freak as he takes care of the two Janeys who now think of themselves twin sisters. Since the return of Chris Robinson into her life, Alex Wilde has seized the opportunity to begin a new relationship with him. They go on several dates together until they decide to eventually move in together and even get engaged to be married. Chris has returned to donning the Star costume and restarting his vigilante career. William Jonson had been all too willing to give up the role as he and Rita Medermade are happy to settle down and raise their new twin sons. Malcolm Dragon struggles to catch up with the schoolwork that he has missed after spending several years trapped in Dimension-X. Dragon helps out his son with his studies and over the next few months, the pair is finally able to develop a father-son relationship. Angel is slowly catching up with her own work and is enjoying being part of a family again. Battleaxe attempts to liberate her lover from Stronghold Penitentiary but Dragon defeats her before she can succeed. She wonders who is going to raise her infant child if both of their parents are locked up but that Dragon points out that Battleaxe should have considered that before breaking the law. Dark Dragon’s trial finally goes to church under the direction of Judge Coffin. Dragon and Alex both give evidence at the trial although She-Dragon cannot do the same as she is still abducted elsewhere. The jury find Dark Dragon guilty and he is given a long prison sentenced. The amulet taken from the Citadel of Seclusion by ShadowHawk proves to hold magical abilities when he wishes for some help whilst fighting Brawn. Dragon, Witchblade, Spawn and Invincible are all teleported to the scene and are annoyed at being torn from their own lives. This wish is repeated during an alien invasion but once it happens again during a mere fight between ShadowHawk and Neutron Bob, the heroes demand that they are not drawn into anymore of his fights. Rex Dexter is finally able to resuscitate Horridus thanks to his technology repairing her damaged body. He then hopes to clear Horridus’s name which leads Dragon to confronting the new Dart who uses a sword to slice off the hero’s arms. Rex manages to ultimately prove Horridus’s innocence which means that they can legally start raising their daughter together. The scientist hopes to restore his original body that has been kept in suspended animation since it was impaled by an I-beam. Rex later purchases the land that his laboratory inhabits, assisting Dragon with his financial problems in the process. Reports start coming through that wreckage is falling down from the sky which Dragon grows suspicious about. He is contacted by Vanguard about helping repair his spaceship as its pieces had begun plummeting down to Earth. Mighty Man and Invincible also agree to help and they are all directed by Wally in where to connect the various pieces. The vessel was thankfully not damaged when Mister Glum’s scientists caused it to shake apart with vibrations so repairs are not too difficult. Dragon attempts to move on with his life and is signed up to a dating website by Alex but after going on several dates, he loses any interest in seeing anyone else at the moment. He concentrates on bringing in super-freaks for reward money; the only way he can seems to be able to make any money. Dragon comes across a now homeless Sam Haze whose life has fallen apart since he quit his job over refusing to badmouth Dragon on behalf of his network. With the Vicious Circle’s presence growing all over Chicago, Frank again attempts to sign Dragon back up for the Chicago Police Department.